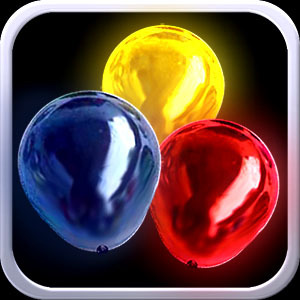 Inflate and pop vibrantly colored balloons in this simple, yet highly entertaining app. The realistic, balloon-like motions and sounds are fun for all ages. The simplicity, consistency, predictability, and relaxation factor of this app has proven to be very enjoyable for autistic children. Shake your device to switch from day to night, or night to day! Tilt your device in any direction and watch your balloons rotate and float up against gravity. Watch your balloons bounce off of the sides of the screen and off of each other.